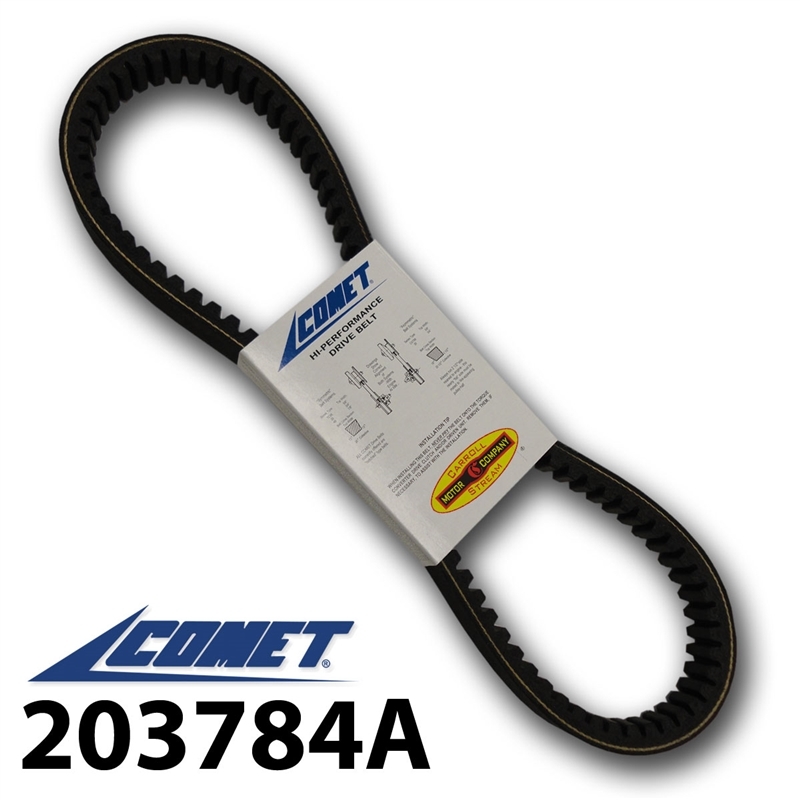 Comet 203784A, Manco (American Sportsworks) 6814 Go Kart Belt. Replacement belt for Comet 40 and 44 series Belt 40-80: COMET 203784 and 203784A. Replacement for 40-80 OEM Torq-a-verter belt. 7/8" top Width x 32-29/32" L. Symmetric Cogged belt. Also used in Manco 810-01, ATVs, Golf Carts, Mini-Bikes, Utility-Cargo Vehicles.